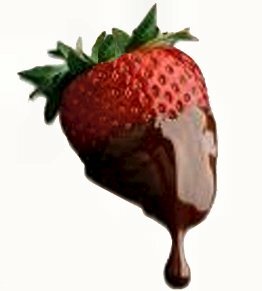 Not only an indulgent dessert a chocolate fountain can be a great icebreaker particulartly at weddings and other events where guests may not know each other. When you hire a chocolate fountain from us in Manchester and surrounds, Your event will be talked about for weeks after. Our Illuminated base can be altered to match your theme. Sometimes the chocolate fondue fountain may be an enjoyable addition to the evening buffet, used for the wedding breakfast dessert or an alternative to the wedding cake. 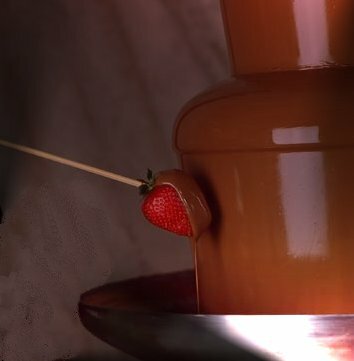 Either way the irresistable lure of smooth glistening chocolate cascading down a professional fountain will be irresistable to your guests. We have catered for local celebrity parties ! Our spectacular fountain packages can be tailored to your needs we include a selection of fresh fruit and sweets for dipping, our suggestions are strawberries (when in season), marshmallows, fudge, mini doughnuts, wafer twirls, turkish delight, marzipan etc. We provide skewers, paper plates and napkins.